Hey everyone, It is Mandi, your Technical Services Librarian! I was surfing my regular Librarian Tech pages when I ran across this handy extension for Firefox and Chrome internet browsers. The extension is appropriately named “Library Extension”. You can download this extension at, https://www.libraryextension.com/. is in the Belmond Public Library’s catalog. There will be an icon on your toolbar where you can change permissions, add certain libraries and websites. 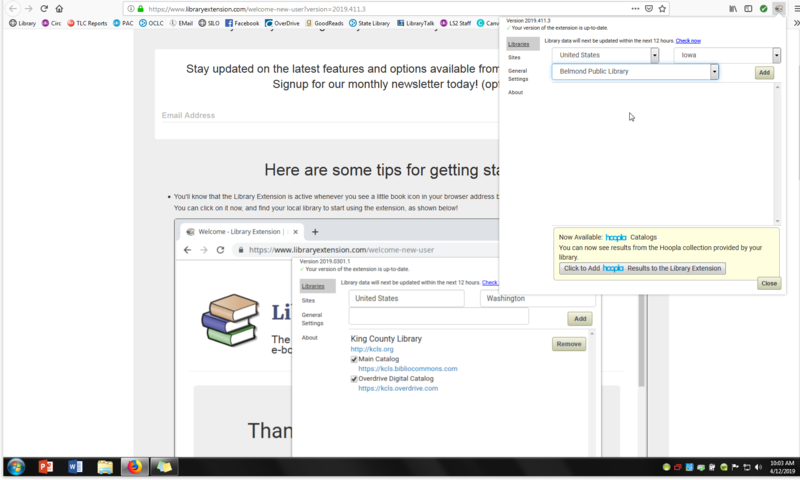 While you can always look up a book on our online catalog (https://beacon.lib.ia.us:8480/?config=0007#section=home) this conveniently reminds you what the library currently has. Below you will find photos, using the internet browser Firefox, you to help navigate this extension. 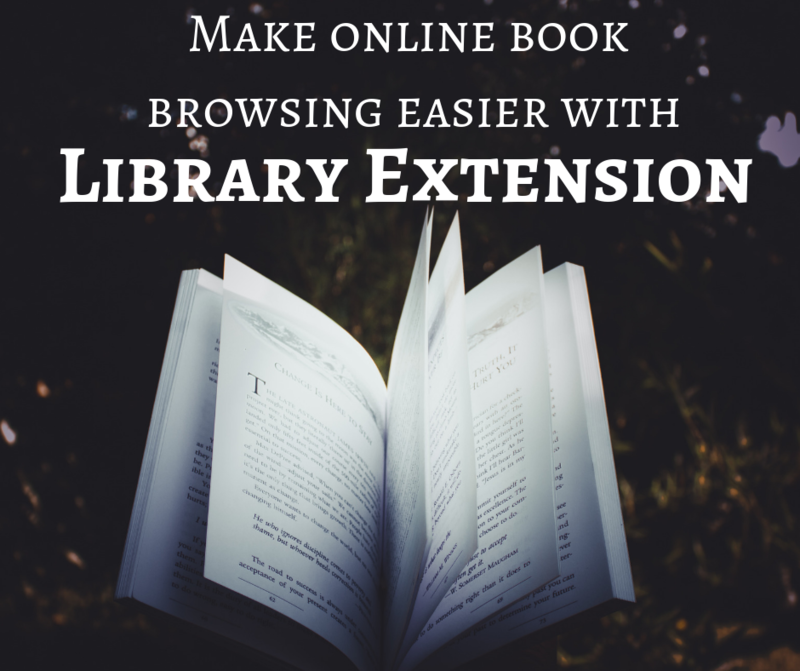 I feel it is very user friendly, once the extension and library have been added…it does all the work for you! 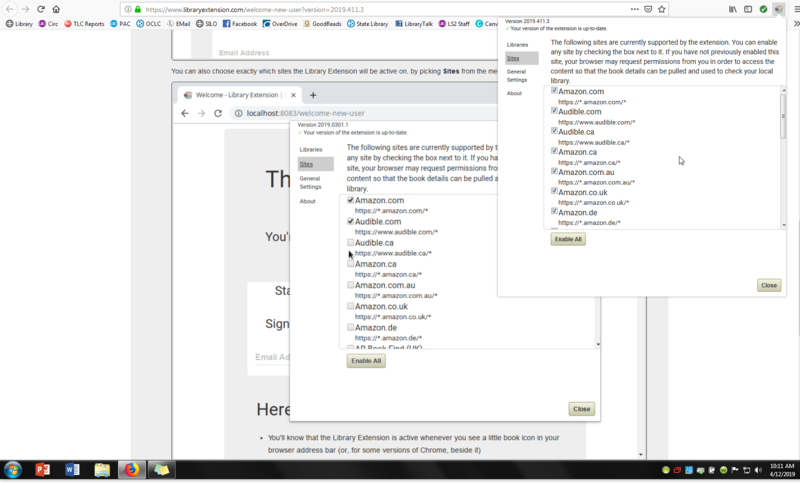 As you can see, the stack of books is where you can locate your settings for Library Extension. Make sure to select Belmond Public Library. Here you can select what websites you would like notifcations on. 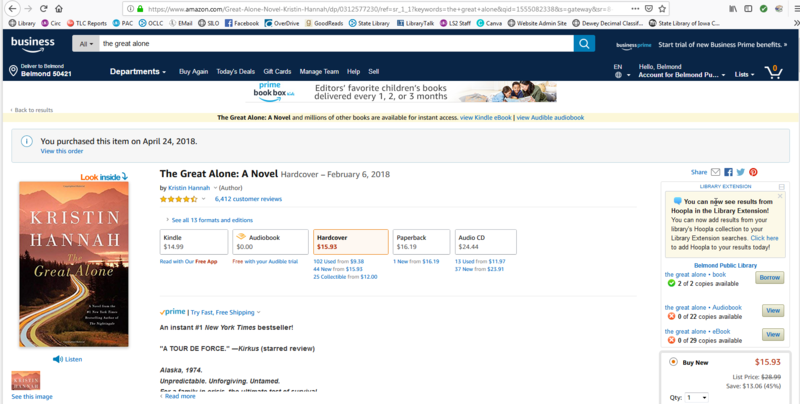 Here is an example of the Library Extension doing the work for you on Amazon. 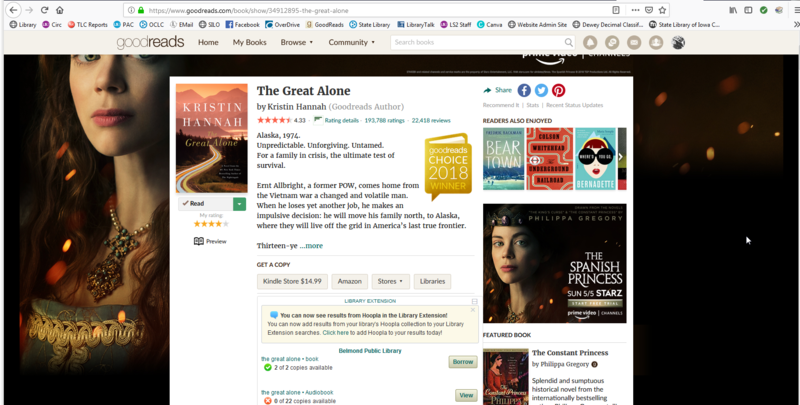 Here is an example of the Library Extension doing the work for you on Goodreads. Please contact Mandi at the Belmond Public Library at 641-444-4160 for any questions.